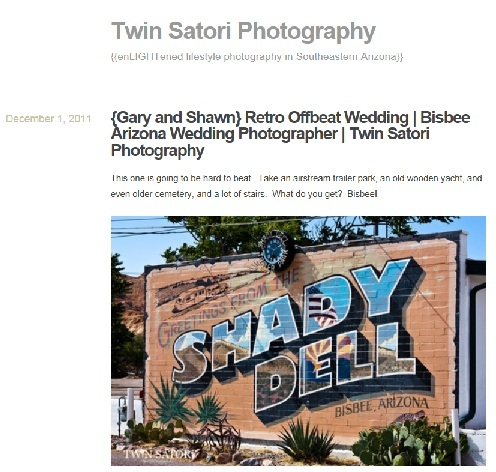 Twin Satori Photography first appeared on my radar when I was reviewing owner Kimberly Creagan’s other business, Blossom Design Studio. Having seen how beautiful Blossom was, I wanted to share more of the amazing work Kimberly creates. Somewhat ironically, in doing this review Twin Satori Photography will be shared with you and then more wonderful people as the recommendations are implemented. What a win for all involved! 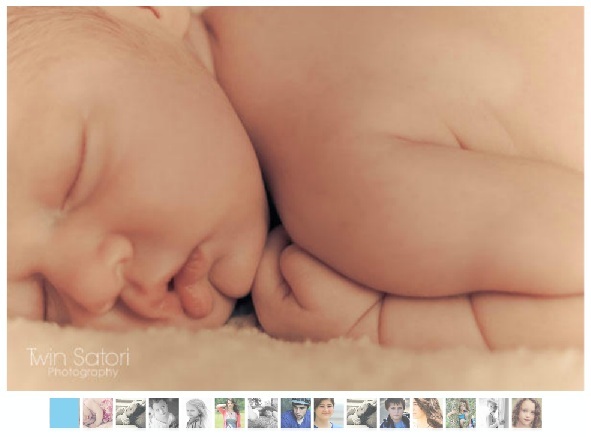 The Twin Satori Photography Facebook wall is simply stunning with examples of recent work. Apart from link only tweets the content Kimberly posted on Twitter was relevant and value adding for followers. 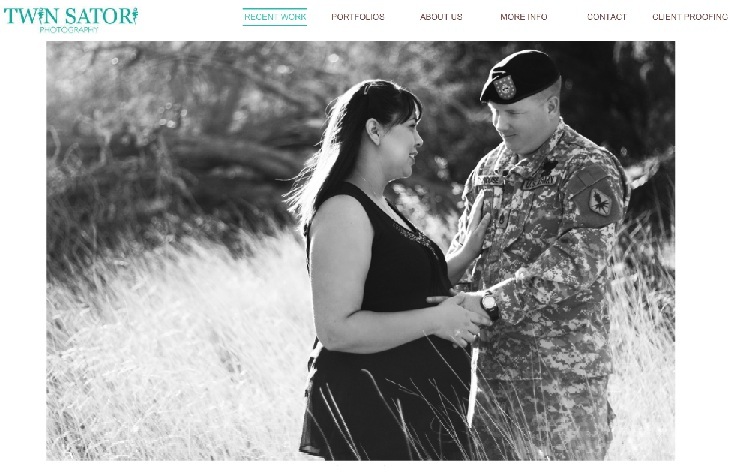 The website is powered by Wix which allows for the beautiful changing gallery on the home page. The ‘Posterous’ page in Facebook is blank. The automatic updates need to be fixed. There is minimal information on the Facebook ‘Info’ tab. This could be expanded to include a call to action i.e. to encourage the liker to take Twin Satori Photography’s next desired step. Twin Satori Photography never truly got started on Twitter. Tweets need to be at least daily so that followers know the business is still active. The Twitter bio needs to provide more details regarding services provided and areas supported. 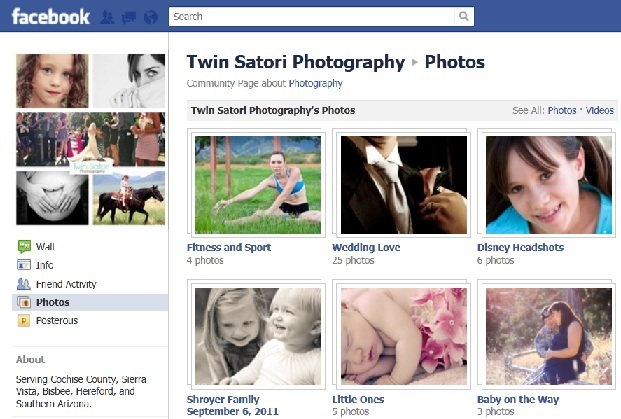 Twin Satori Photography should add a ‘Welcome’ tab to their Facebook page as it would allow them more static space to showcase their work. Kimberly should use the advanced search function on Twitter to identify tweeps in her region. 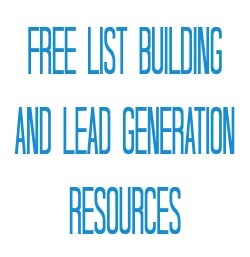 Doing so means she can build relationships with and target her marketing to potential clients in her local area. The posts on Posterous showcasing individual weddings are amazing. Twin Satori Photography should add a post for all shoots they complete and link them to Twitter as well as Facebook. 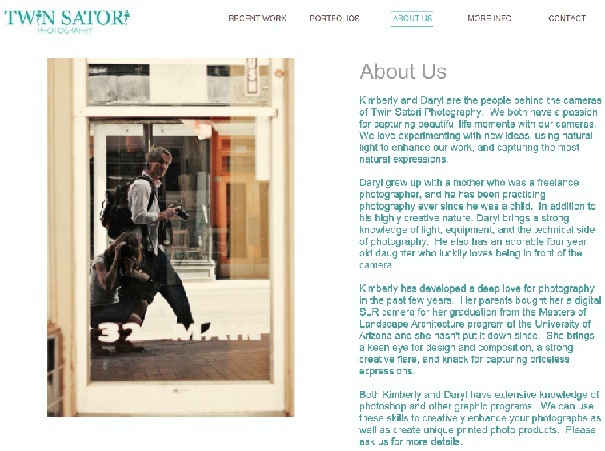 Twin Satori Photography should create an info product to demonstrate their expertise and care for their customers i.e. 14 Things To Ask Before Booking Your Wedding Photographer. This should be distributed freely and promoted on the various social platforms. 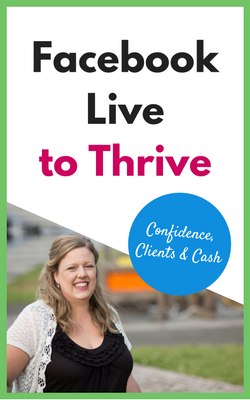 Kimberly should identify a local business she has a relationship with that offers products or services complimentary to Twin Satori Photography’s service. The two businesses should formulate a special joint offer and send to their respective email databases. I’d love to hear your ideas in the comments. Sharing is caring and we all want a great start to 2012. Thanks for the great advice! I will try to implement as many of these suggestions as possible. They are great ideas. Thank you!!! Can’t wait to see your work Kimberly! 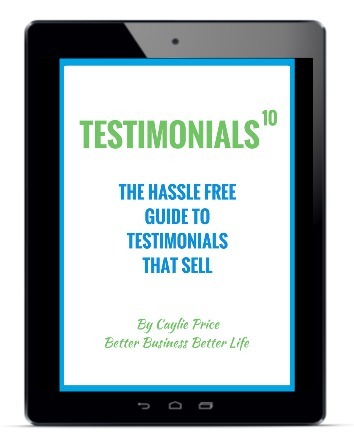 These tips will help you share your beautiful work with so many more lovely people.